The Natural Products Expo West in Southern California is the World’s largest Natural Products Event, and we were excited to be a part of it. We exhibited at the show and participated in many of the events. The show itself had a record-setting year. It grew by more than 6.9% with over 77,000 attendees! We were pleased that it was so well attended. We had the opportunity to meet with many of our existing customers as well as many more new companies who we are looking forward to working with. This show provided a good opportunity for us to see how we’re doing and where we want to go. 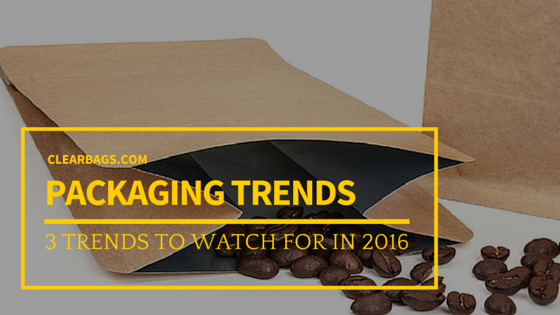 As we discussed packaging with our customers, we identified 3 trends that are prevalent in Natural Food Packaging. Kraft is King - Because it is a Natural Products/Organics Expo, we expected that natural-looking packaging would be popular. However, we didn’t realize just how popular. Our stock line of Kraft Stand Up Pouches and Kraft Boxes were definitely the most requested packaging at the show. Customers love the natural, earthy look of Kraft. They love the traditional feel of the material; they love the look. It inspires that organic feel, which is what most of the show attendees were looking for. From everything we are seeing, Kraft will continue to be a major packaging trend for the foreseeable future. Their retail appearance is exceptional. Stand Up Pouches don’t take up a lot of shelf space, so you can get more of your product onto store shelves. They are easy to fill and easy to display. They are resealable. One of the biggest benefits of Stand Up Pouches for consumers is that they are resealable. The high quality zip closure keeps the contents fresher longer and provides a long term storage advantage. There is lots of space for branding. Whether you’re using a label or you choose custom printing, the usable space for branding on our Stand Up Pouches allows you to convey your message well. Even if you choose our Stand Up Pouches with a window, you can showcase your product and still have enough space on the bag for your marketing. Natural and Organic are industry buzzwords that are increasingly more popular - The trend in many consumer goods, from clothing to cosmetics, is natural, eco-friendly, and organic. Food is no different. There is a very real push to make things simpler: fewer ingredients, less fillers, and more organic. Most industry experts project strong growth for the natural products industry through the next 3-4 years, with consumer sales of natural, organic and healthy products being a major driver of that growth. We had a great time exhibiting at the Natural Products Expo West and are looking forward to the other food shows we are involved in this year. We would love for you to come by our booth at Sweets & Snacks in Chicago or IDDBA in Houston. 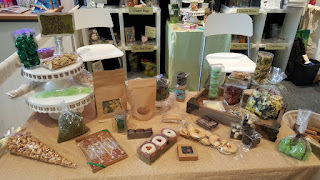 We’ll also be at Summer Fancy Food in New York as well as Natural Products Expo East in Baltimore. Come by to see some of these packaging trends on display. For more details about all of our upcoming trade shows, or to request tickets, please visit our website: http://www.clearbags.com/shows. March Newsletter - What's Hot in Packaging?